Described as: the fastest growing marine motorsport series in the world. It’s also one of the most affordable, most accessible and most competitive forms of motorsport, with international recognition and guaranteed media exposure. Who wouldn’t want to win, when the world is watching? The event took place at Stokes bay on the weekend of 9-10 July 2016. The beach near to the Stokes bay Sailing Club offered a splendid view of the races. At the heart of the championship is the P1 Panther race boat. Designed in 2010, the boat has been engineered by the best race engineers in the industry, tested and developed in the harshest conditions over 18 months. The P1 Panther is powered by the award winning Evinrude 250HO ETEC engine – powerful, efficient and fast, it is the perfect marriage to the P1 Panther. 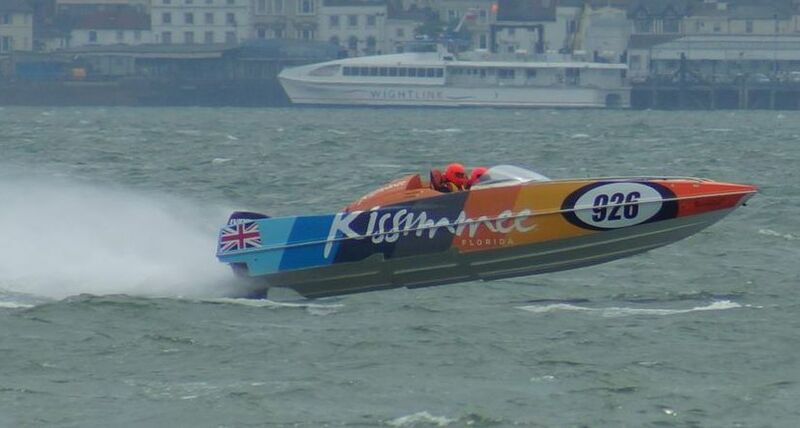 Experience Kissimmee secured their first ever P1 SuperStock weekend victory to end a weekend of fantastic powerboat racing on the south coast.